According to USoptic's website, "The SR-8C incorporates a daylight visible, 4 MOA red dot sight in the second focal plane that is precisely positioned in the center of an 8C MIL reticle in the first focal plane. The illuminated dot is optimized at the lowest power setting for rapid target engagement in any condition and subtends at all magnification settings from 1X through 8X. U.S. 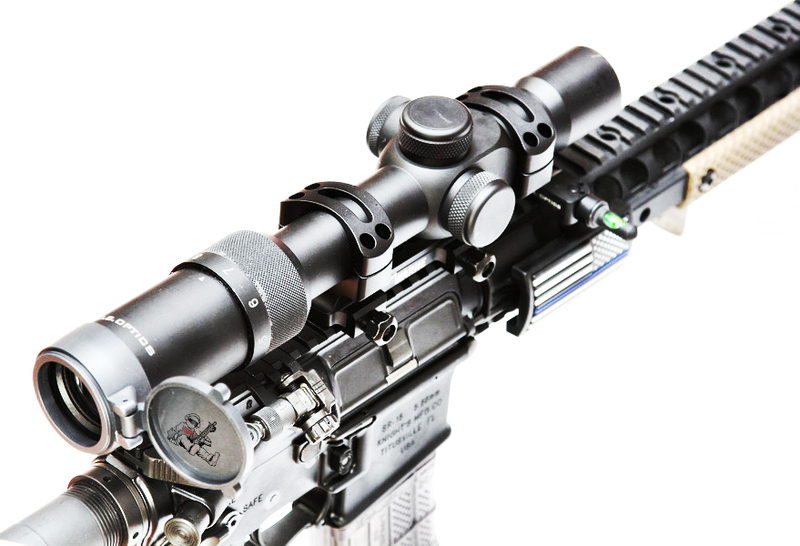 Optics, Inc. scopes are constructed of 6061 T-6 aluminum, then type III hard anodized, making it extremely durable. By using the finest materials and advanced engineering, the SR-8 is a lightweight, affordable scope that surpasses the competition." According to Warne's website, "The rugged, lightweight design of the X-SKEL maintains our famous Return to Zero capability, and utilizes ½” hex nuts for rock solid attachment. It features a skeletonized ring body and caps for reduced weight and steel threaded cap inserts for maximum durability. 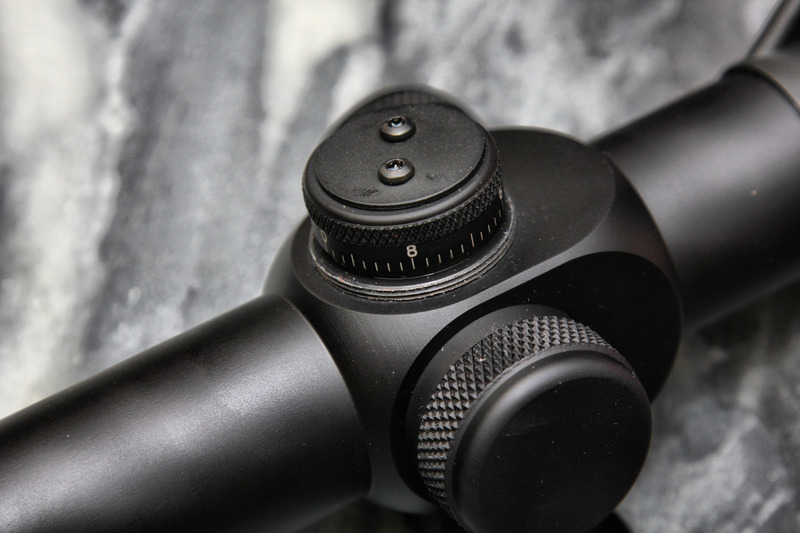 The X-SKEL places your optic at the IDEAL HEIGHT with a generous cantilever for proper eye relief, it will easily accommodate the longer eyepieces found on many of today’s scopes. Available in 1 inch, 30mm and 34mm." I was able to get the SR8c for testing and review at no cost, as well as the Warne mount for testing. I have since passed on the optic and mount to someone else who will get use out of it. I was looking for an optic to use for a class I was considering taking. Specifically the Dual Role Carbine taught by F2S, which I was going to be taking at some point with a 7.62 rifle semi-auto rifle. 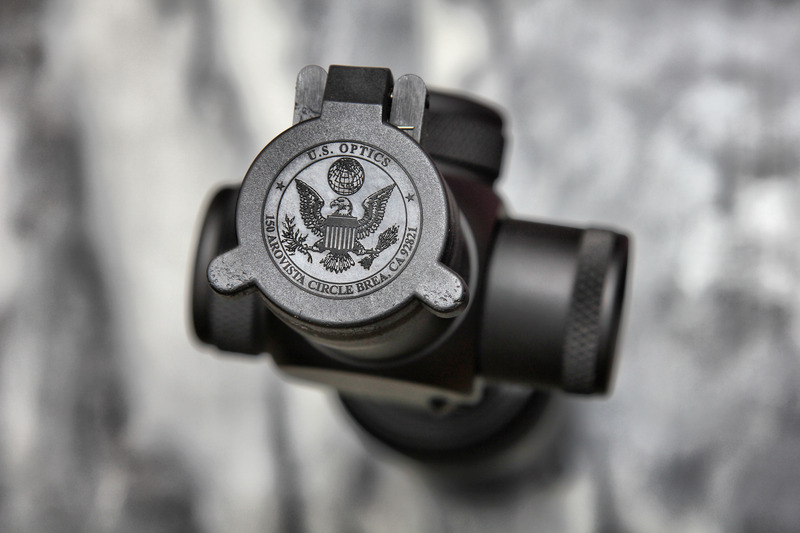 I took the opportunity of testing this optic when it became available, as well as the mount. While I have used other variable optics they were not a 1-8x and they did not feature the robustness that a USO optic has to offer. When I got the SR8c I threw it on an SR15 I have (pictured above) and ran some drills, did some shoots and training with it. 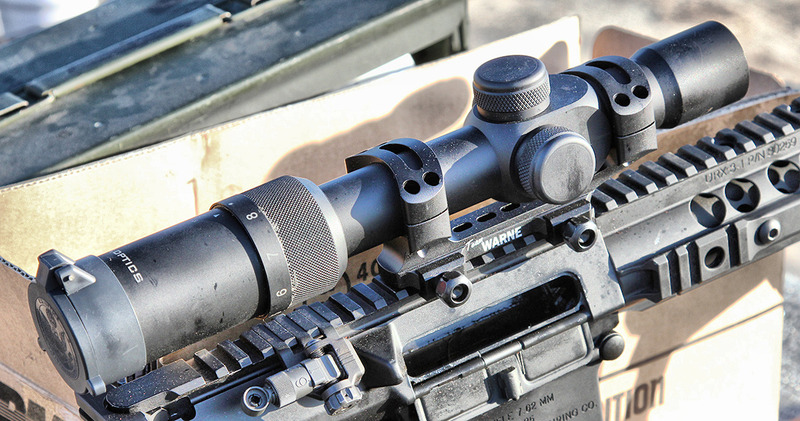 The Warne mount was super easy to install and once zeroed it never shifted. The SR8c was very easy to zero. 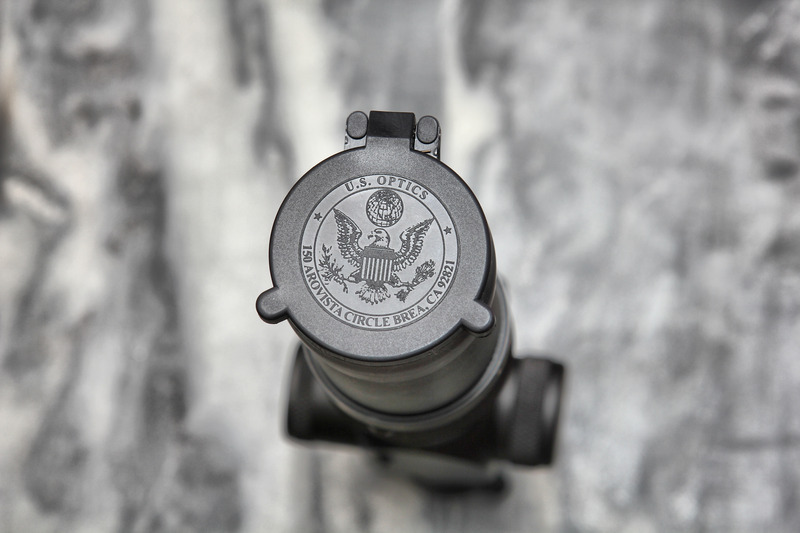 The 8C MIL reticle is first focal plane and the 4 MOA red dot is second focal plane which allows the optic to be used as an RDS at 1x and low power setting. Since I have used a 4 MOA dot before on the Aimpoint H1 it was not a big transition at all in use. As for the glass itself, I mean, it is easily the clearest glass I have used. The vignetting is to a very minimum if at all and only in the 8x if that. You have to really look for it and it does not affect the use of the optic in any way. The power/brightness setting of the RDS were in a few different modes, the very bright setting is extremely bright and unusable in any condition other than no-cloud, sun over your head. I normally use the lowest power setting which was still daytime visible and allowed for use of the reticle lines at the axis. The SR8c came with hard turret caps and a wrench after you set your zero to readjust back to zero. Set and forget. It also came with front/rear caps for the glass with the USO logo (see above). I put about 600 rounds through my SR15 with the SR8c on it and then shipped it down to FL to attach to the above pictured SR25 ECC, which I ran during F2S's Dual Role Carbine class. I put roughly 400-600 rounds through the gun/optic combo during the two day class. Once I zeroed the optic in the first half of the class at 100m I set it and forgot about it, the Warne mount never budged and I did not have to adjust the zero. We did all sorts of shooting, from 50y and in and 300y to 1000y. I can say without hesitation that the SR8c was not lacking in any capacity. The reticle allowed me to adjust for distance by counting hash lines on the vertical line and make shots as needed. While the reticle is rated for 800y+ I would say that at 1000y it was pushing its range, even though the ECC could make those hits, the reticle only gave you a hash to work off of and you needed to be able to do the rest yourself. Which is fine, but 1000y shots are not easy even with a top of the line gun and optic. The only issue I had with the SR8c is the lens cover system it comes with. The front cover broke and did not fit the front any more unless I duct taped it on there. The rear would come off and/or deform as it did adjusting the parallax in the process. As you can see in the photos above one shows the cover open to the right side, in the class it shows it open to the top. That is pretty annoying to me, I actually took them both off at one point and only put them back on when I shipped the optic to its new home. Great idea, horrible execution. Other than that, zero issues. The SR8c did exactly what it was designed to do. The reticle did not move on me, the RDS was nice and center and crisp. The electronics worked with no issue. Just as a note, it is not a light optic by any definition. You could probably beat someone to death with it if you had to. The Warne mount was issue-less. Once it was installed properly (following instructions provided) there was no further need to mess with it. I wish it was a QD mount, but that is just personal preference and beggars cannot be choosers, right? 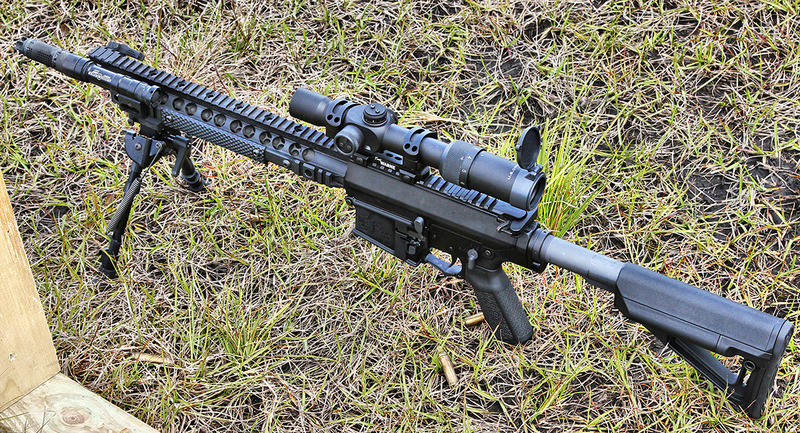 The SR8c is around $2400 and the Team Warne 30mm mount is around $120. So you are looking at a pretty serious financial investment for an optic here. But I have to say, I was so happy with the SR8c I purchased an SR4c. So you could say that I would recommend USOptics products highly. 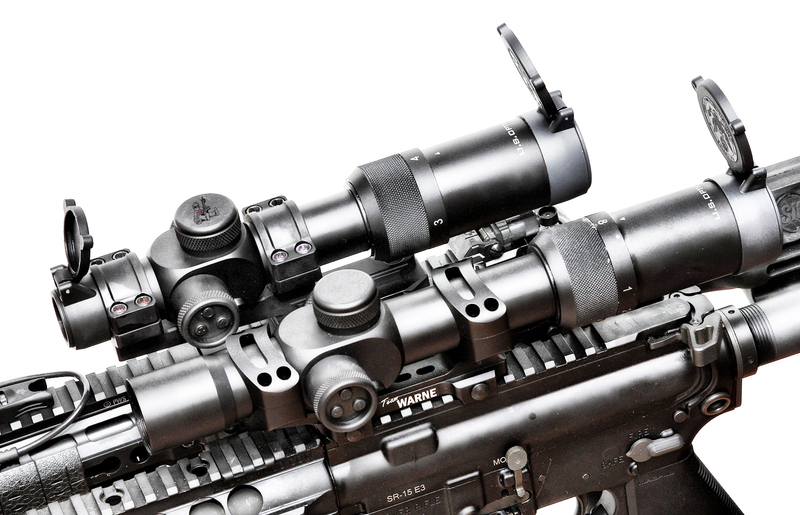 In my opinion there are very few top tier optics on the market that come close to what USOptics is producing. 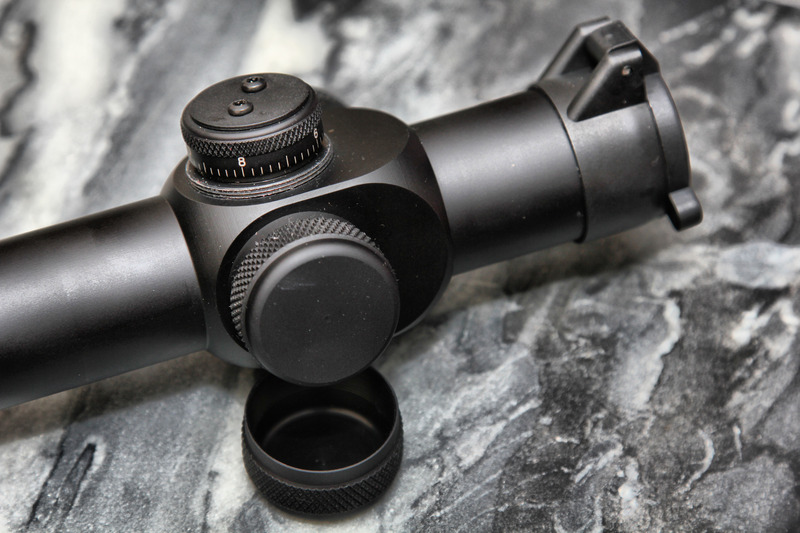 Of course there are other options like the Leupold Mark 8 CQBSS 1.1-8x24. But I would caution those looking to jump into the 1-8x field of optics. 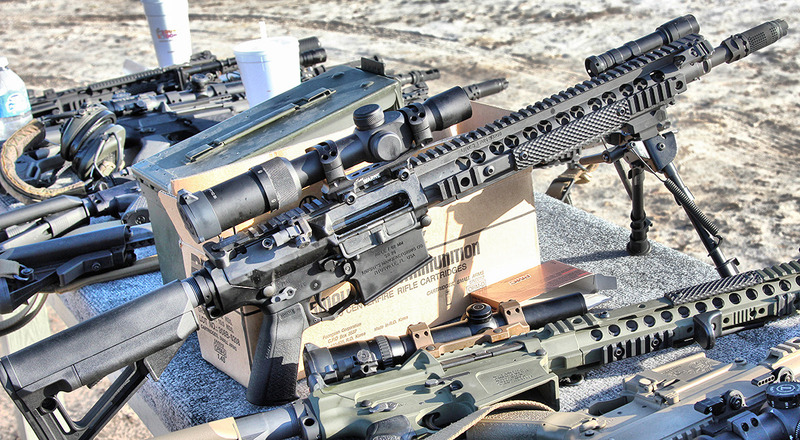 You probably want a 2.5-10x optic since prone, with a bi-pod, shooting will be your primary use for that rifle/optic combo. If you are looking to hit out to 1000y with a 7.62 gun, I would suggest going up a caliber, 300WinMag would be the ideal caliber for that range. If you are looking to keep inside of 800y then a 1-6x optic may be something you should look into as well. The SR8c is really at home on a 7.62 semi-auto platform like the SR25 ECC and allows the caliber/rifle to be used to its maximum potential.